songs for seeds is not only about the music (although our music really rocks). at songs for seeds we engage kids all while laying the foundation of early childhood education through musical activities. in each songs for seeds class your child will hear music from a different region of the world, be exposed to a variety of rhythm patterns and be given the opportunity and space to experiment with singing and playing real instruments. we reinforce their knowledge of colors and shapes, focus on single digit numbers and practice counting. additionally, we highlight animal recognition through animated impressions of their sounds and movements. most importantly, in songs for seeds, we play and have fun. get ready for your favorite 45 minutes of the week! got a travel bug? join us in songs for seeds! every week in class, kids put on their airplane wings and “travel” to a different region of the world. they land right in the middle of a dance party where they hear authentic sounds from the country they are visiting. while dancing to these new rhythms and sounds, they hear hello in the language of that culture. the whole room is grooving... but what’s really going on underneath all that fun? hearing unique rhythms and listening to a new language within a song also encourages their concentration. in time, those new sounds and words start to make sense, the same way that a baby learns to speak. what’s more, we introduce a new international instrument each week. whether it’s a didgeridoo when they land in Australia or the steel pan in Trinidad, exposing kids to instruments beyond the guitars, keys and drums they see every week. the effects of all this newness may not be noticeable right away, but we really believe that exposing kids to the name of, sounds from and language of a new country each week opens their young minds to other cultures. this helps them build an early appreciation of and curiosity for people around the world. picture a song is the super fun section of songs for seeds where art marries music to teach kids shapes and colors. each week the class sings a new, well-known nursery rhyme. during the song, students are given large magnetic, colorful shapes. with these shapes the children assist their teacher in building a mural that best illustrates the nursery rhyme. a night sky full of stars for twinkle, twinkle, little star, a spider dangling on a web for the itsy bitsy spider... all made with squares, circles and triangles. this creative and engaging activity reinforces shape and color recognition, can act as a precursor to letter writing and counting, fosters verbal communication and develops sorting skills. learning shapes and colors is also a precursor to learning other basics such as writing, math, reading and art. while singing to a beloved nursery rhyme, kids are beginning to learn how to mathematically sort objects according to size or category. have you heard your songs for seeds teacher ask, “does anybody have a white square? who can help me with the blue circles?” throughout this section, kids are constantly making comparisons between the shapes such as big and small, same and different.these concepts provide an understanding that is used to observe, compare and discuss all that a child sees and encounters. what’s more, identifying the number of sides on a shape helps with early counting skills...1-2-3 sides of a triangle! to top it all off...an early knowledge of shapes and colors, helps your child absorb all of those images in picture books which sets up an understanding of and appreciation for illustration, art and reading. to learn more about picture a song, watch the video HERE. let’s play the animal wheel is songs for seeds wacky matching game. we spin a wheel to make a match – the front of one animal with the back of another. a cow/pig, a horse/sheep...moo/oink, neigh/baa. until...hooray! we make a match! it is a joyful, surprising game for the kids that reinforces a variety of animal sounds and movements (and allows their teachers to bring out their inner donkey, monkey, duck). this activity also exposes students to early phonetics, gives an outlet for emotional expression and practices gross motor skills. exposing babies to a variety of animals each week also helps them to convey information about the world around them, increasing their ability to describe what they see. making silly animal sounds may seem like pure fun (and it is!) but doing so also helps foster speech development in babies and toddlers. animal sounds like “moo” and “neigh” and “quack” include basic sounds and tones that make up the formation of overall language development, a precursor to phonetics. repeating animal sounds to your baby or toddler also promotes their receptive language which is important to communicate successfully. moving like an animal each week promotes a child’s gross motor skills and supports a variety of rhythmic movements from crawling like a cat, galloping like a horse or flapping a bird’s wings. what’s more, saying the animal sound while moving like its body develops two parts of the brain and encourages simultaneous thinking. it’s like trying to pat your head and rub your belly at the same time. not so easy. to learn more about the animal wheel, watch the video HERE. the songs for seeds numbers section is pure magic! during this activity, kids help their teacher find the missing number...a new one each week. once the missing number is revealed, it gives the teacher the ability to perform a (very silly) magic trick. the trick is followed by a number song that not only reinforces counting and addition, it’s possibly the catchiest song we’ve ever heard. during the song, colorful scarves are handed out to everyone in class for a massive game of peek-a-boo which not only elicits the cutest smiles, it helps babies and toddlers grasp the concept of object permanence. this is when very young children start to understand that things still exist even when they are out of their sight or grasp...mommy only “disappears” for a moment behind the scarf. in our babies classes, our body parts song encourages families to help their little ones find their eyes, ears and noses creating a fun, suspenseful game while also reinforcing body and spatial awareness. you will notice that we count as much as possible in our numbers section because exposure to numbers 1 through 10, as young as six months old, nurtures mathematical thinking. while it may not seem important to expose your baby to mathematical thinking before they can even speak, the truth is, they are surrounded by numbers all day long. a basic number sense helps kids follow directions, for example “first we eat dinner, next we take a bath, then we read a book...”it also supports every day activities like counting their age, grasping the order of the day, reading a calendar (“how many days until my birthday?”), moving pieces in a board game, finding patterns in their home, and measuring ingredients when cooking with you. reinforcing numbers while counting up and down also helps kids gain a basic sense of concepts such as greater than/ less than or big and small. so keep counting...on your hands, their feet...it supports bonding and is fun finger play. the pure, silly, joy you get out of watching your child turn everything she sees into a magic hat and wand while repeating this section of class at home is made even better knowing that her brain is also making so many mathematical connections. yay numbers! to learn more about the numbers section, watch the video HERE. each week, the songs for seeds drummer gathers the kids in class, inviting them to clap or tap out various rhythm patterns through a playful call and response. the drummer beats a variety of rhythms from fast to slow, low to high and the patterns change week to week. who wouldn’t want to be a super cool drummer? but there’s so much more going on behind all that fun. rhythms engage children’s senses, and those encounters with each new pattern teaches them that the world can be new and different, rather than scary or strange. this is the development of a curiosity that is built as the kids wait for the drummer to play out the next pattern...and they see if they can replicate it. a baby in the womb lives to the rhythm of his mother’s heartbeat. the moment he is born, he is exposed to sounds and patterns from the mobile in his crib to the rattle in his hand. these sounds reinforce his understanding of cadence and rhythm. as children, we use our voice and other instruments to express feelings, but they also serve important learning functions – they teach us pattern, pulse, rhyme and structure,without the complication of language; they teach us the way humans bond and express emotion; they give us pleasure and encourage imagination and story-telling. children love music and they respond with movements using toys to shake, rattle and bang or by dancing to the beats. songs for seeds is your child’s band and that means that sometimes they get to be the lead! every week, during our sing with the band section, the guitarist offers the microphone to any child who wants to come up and strut their stuff, whether they channel their inner mick jagger or simply breathe like darth vader. there is no forcing here… many kids never make it up to the microphone at all and that’s totally okay (a few of our own kids never touched that mic!). the goal is to give our students an opportunity to build confidence at their own pace. we always let the children guide the flow and direct the fun. be it a soft a cappella nursery rhyme that leads into a group sing-a-long or a loud pronouncement their newly learned abcs, this section will have you smiling whether it’s your own kid on that mic or not! when a child sings a song from memory, an incredible process in happening in the brain called audiation, the musical equivalent of thinking in speech. audiation is a child’s internal realization of music, a cognitive process where the brain gives meaning to musical sounds without hearing the notes playing in the outside world. this process develops in early childhood and occurs when a child hears and comprehends music when the sound is no longer present. we simply can’t get enough of seeing those cute kids rockin’ out to the tunes in their own heads! we sing from start to finish in songs for seeds and we have been told that the songs continue at home (and not just by the kids!). if that song gets stuck in your head… use it! singing with your baby is one of the best ways you can bond with your child from the moment they are born. what’s more is that singing supports their language comprehension as they hear and begin to understand brand new words using inflection points and rhyming patterns. singing to your baby also improves their listening skills (as parents of older children, let us be the first to tell you, this is going to be reeeaaallly important to you in a few years). most importantly, singing to your baby is playful, fun and a great way to express your love to your child. they don’t want a rock star singing voice, they want you! songs for seeds classes follow a similar structure week to week because we believe that young children learn through repetition. it is the way they master skills and strengthen brain connections. repetition also creates a source of comfort for children. they like to know what to expect. songs for seeds classes are structured to incorporate repetition, yet we infuse new elements into each of our musical activities each class to spark their imagination and give them a deep inventory to pull from when learning a new concept. you may notice after a few weeks in class that your child gains confidence to more actively participate because they know what section is coming next while new material within each section expands their learning. this would also be a good time to remind all of us that there are passive and active learners. your child might be “observing” each week and going home with just as much new knowledge as the child who is front and center for every activity. 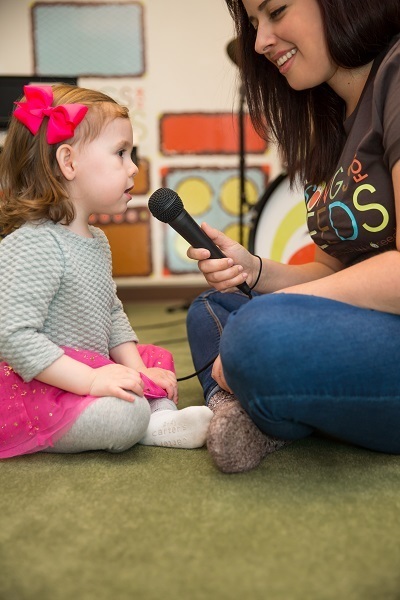 we just spoke a lot about learning at songs for seeds, but we must be honest with you, our main goal is that your child plays and has fun at songs for seeds. not just a normal amount of play and fun -- but crazy amounts of play and fun! why? well because it’s fun... and because children learn through play. learning through play is a term used in education and psychology to describe how a child makes sense of the world around them. play allows children to use their creativity while developing their imaginative, physical, cognitive, and emotional strength. play allows our kids to take chances, explore, experiment, imagine and grow. we cannot wait to see you in songs for seeds! we first created mixed aged classes for practical reasons. soccer, gymnastics, dance and even art classes cater to specialized age groups. music is one of the few activities that children of all ages can participate as a mixed age group seamlessly. at songs for seeds, we have always been about children first with their adults following right behind. to that end, we want parents to be able to bring their children to class together. no stress about finding a babysitter, or a second babysitter...just show up with the whole crew. when we launched songs for seeds and observed kids of all ages in class together we realized the benefits of a mixed age program was equal to, or outweighed, the practical reasons. multi age grouping benefits both older and younger children. it is a smaller version and a reflection of the real world...children have siblings of different ages in their family and spend time with kids of different ages in their community and social circles. younger children have great models to observe and learn from in their class in terms of language, problem solving and socialization (saying hello, taking turns, helping). the older children get to be the leaders - which builds pride and confidence. nap schedule. 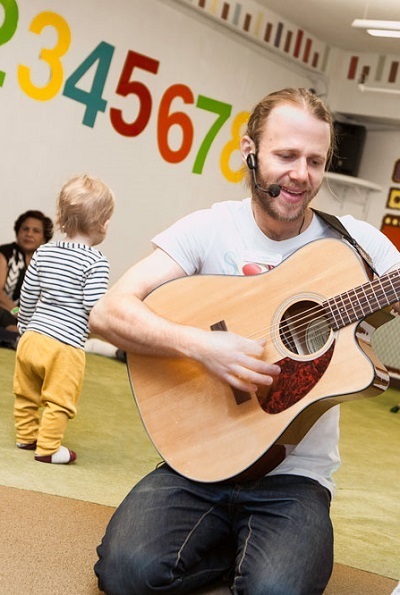 both our mixed ages and babies classes incorporate songs for seeds rockin’ tunes, our interactive, engaging activities and a ton of family fun. see you in class! watch our songs for seeds franchise video!